Finally the wait is over, Oreo-based Resurrection Remix 6.0 ROM is now available for download. Here we share a link to Download Resurrection Remix Oreo ROM for your Devices. Resurrection Remix ROM is one of the best and most customizable ROM available for the Android community. The ROM is fully featured, stable and combined with the best features of many open source ROMs. 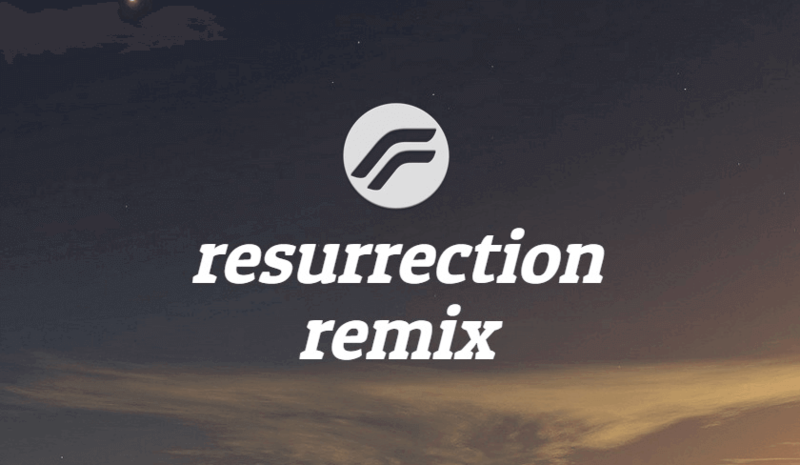 You can Download Resurrection Remix 6.0.0 Oreo ROM for your Devices from below. Resurrection Remix Oreo ROM creates an awesome combination of performance, customization, power and the newest features of many ROMs. Currently, Resurrection Remix v6.0.0 Oreo ROM supports many popular devices including OnePlus and Redmi devices. As the Google released the new OS Android 8.1 Oreo, RR team also worked on the update and directly released the Resurrection Remix v6.0 based on Android 8.1.0. Download Resurrection Remix Oreo ROM for your Devices [Android 8.1.0 Oreo] from below. You can Resurrection Remix 6.0.0 Oreo ROM from below. To install Resurrection Remix Oreo ROM on your devices all you need is RR Oreo ROM, Rooted devices with TWRP installed and Gapps file. So Download RR 6.0 ROM for your device from below. 1) Download Resurrection Remix Oreo ROM and Gapps file from above and save it on your device. 2) Now Boot your device into recovery mode by press and hold “Volume Down+Power Button”. 3) Now you will enter into Recovery mode. Now in TWRP, create a Nandroid backup (Recommended) of your device for safer side, if anything goes wrong. 4) Now do a Factory Reset by Goto Wipe>Advanced Wipe>Select Wipe cache, Dalvik cache, System, and data and swipe to confirm it. 5) Now, Go to Install and locate the ROM zip file & swipe to Install the ROM file. After the process completes, Flash the GApps zip file. 6) Now wipe cache & Dalvik cache again and Reboot your device. So this the complete guide to Download and Install Resurrection Remix Oreo ROM. Let us know if you have any questions via comments below.